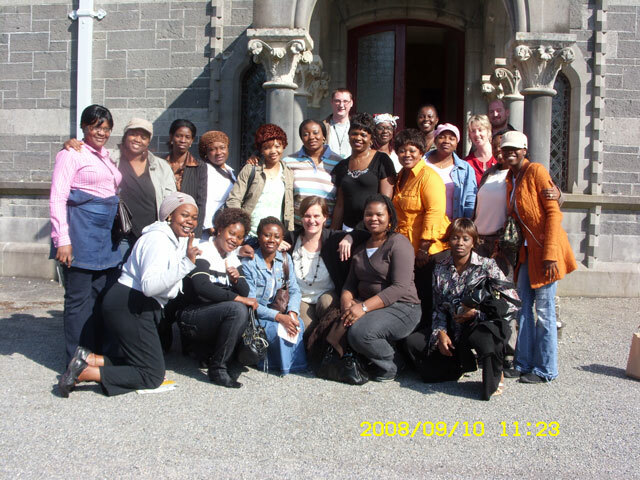 Mayo Intercultural Action (MIA) in conjunction with The National Museum of Country Life Turlough House Castlebar organised a trip to the museum for the residents of the Old Convent Hostel in Ballyhaunis. The residents spent the morning at the museum where they were given a guided tour, there they were fascinated by the similarities between Irish country life and that of rural life in their own countries of origin. They were also familiar with some of the exhibition items as they are still used in contemporary life in certain African cultures. After lunch, the residents participated in a variety of workshops which depicted traditional life in rural Ireland, one of the pieces being a St Brigids Cross. The residents found the afternoon extremely beneficial and rewarding and are anxiously awaiting next visit to the museum. If you want to find out more about upcoming projects and events in Mayo Intercultural Action, please contact MIA at 094 904 4511 or miamayo@eircom.net. Or why not drop in to our offices (9.30-1p.m) in the Social Services Centre, Castle St. Car Park (behind Archway Stores), Castlebar to say hello.